We are an all-consuming society. But some products are just useless and unnecessary, but are marketed as if we need them. We don't. The ad for this product claims that there are millions of evil Hitler germs left on normal soap pumps and this system prevents the spreading of germs by eliminating the need to touch the pump. But wait a minute! Isn't the purpose of hand wash to clean your hands anyway? So after you touch the soap pump, you literally wash your hands of any germs transferred onto your hands anyway. 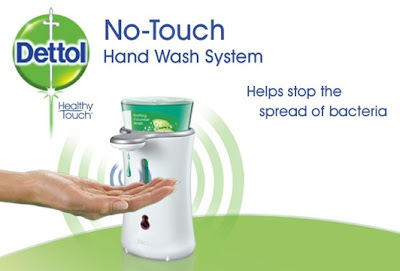 Dettol targets the clean-freak psychos of society with this one. 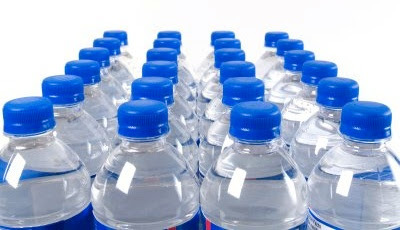 In the first world, where tap water is hygienic and completely drinkable, bottled water is an unnecessary and expensive product. People will readily complain about the cost of petrol, but currently petrol is a mere $1.50 a litre in comparison to $2.50 for 600ml of bottled water. Yet people still buy it. Maybe because it gives them the false sense of health superiority over the others who buy sugared drinks with their lunch. "That's right everyone, I'm health conscious and drink bottled water". Too bad they don't realise they're being rorted out of their money for something that's free out of the tap. Ok, so most people saw through this monstrosity. 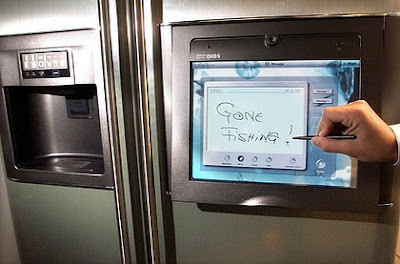 Not sure where they connected the concept of a fridge and the internet. Steve Jobs must have had a good ole laugh at this one. Excuse me while I lie comfortably on my lounge with my $600 iPad while you stand in the kitchen and browse the internet on your $15,000 fridge. Enough said. If 3D television did what you see in the picture above, I'd be impressed. Unfortunately for this so-called 'revolutionary' television experience, all you get are the images sitting a couple of inches off the screen. 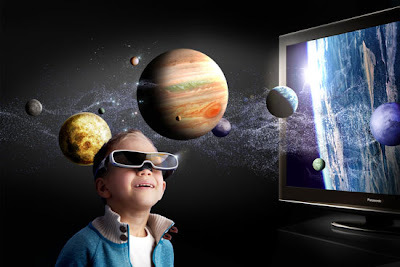 People seem to forget that we actually view television in 3D anyway. When you watch a film, you're not seeing an old Super Mario-style 2D picture. You can see depth. When 3D television starts making me duck out of the way of explosions on screen, then they can call it 3D. In the meantime, the current technology is just a gimmick. Does anyone have any other examples of products that are just unnecessary? Call me crazy, but really, I prefer to read a BOOK. Turn pages the old fashioned way. Lick my finger and pinch paper! Sure, they are light weight, but why spend 200-600 then pay for a digital book, when you can go to the library and borrow a book? Ha ha! Kate, this post was so funny I had to read it out loud to my husband.